The Race Track, Ta' Qali National Park, Malta. The Race Track is open to the general public every Saturday afternoon (during the Championship Season) and for all practice sessions during the year. On Race Days (mostly on Sundays) a donation is asked for at the main gate to the track. Access to the paddocks is 'Free of Charge'. Children up to 12 years do not pay. All the paddocks / spectator areas are elevated from the race track level for additional safety. There are open air seating areas [a large tent] is in one of the main Grand Stands and over-looking on the Start/Finish straight. Refreshments/Snacks/Take-Away are available at the mobile koisk on site. Toilets and fresh water facilities are free. Ambulance is always present during Race events. From Mosta, on the way to Rabat, follow the signs 'Ta' Qali National Park'. Parking outside the Race Tracks is Free. We need more marshals during our activities at Ta' Qali. 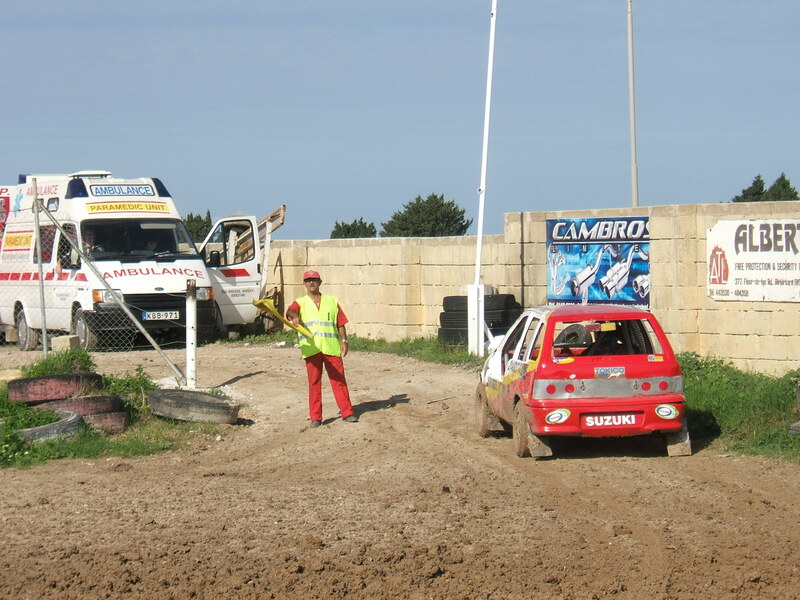 Enjoy Motorsport at a closer range in the Racetrack but in a Safe environment. Be an Official ASM Race Marshal. Its rewarding. Our Association is run by experienced personel in motorsport, on voluntary basis. Contact Web Master for info.